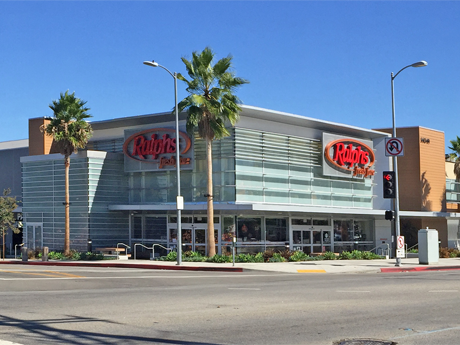 Ralphs owned and operated a supermarket on this three-acre site for many years, but the owners (Kroger Co.) wanted to build a new “flagship” store. Located along the Ventura Boulevard commercial corridor, with frontage on Hazeltine Avenue and Moorpark Street, this is an important site in Sherman Oaks. There were numerous challenges from an entitlement standpoint, including the need to obtain a Zone Change and various exceptions from the Ventura-Cahuenga Boulevard Corridor Specific Plan. Craig Lawson & Co., LLC prepared and processed the entitlement applications and negotiated with the council member for Sherman Oaks, various community groups, and nearby property owners. Despite opposition from the Sherman Oaks Homeowners Association, the project was approved and construction was completed in 2014, creating over 240 jobs in the new 72,000 square foot supermarket.